Catalyst – January (4 2 + 3), 2009 1. 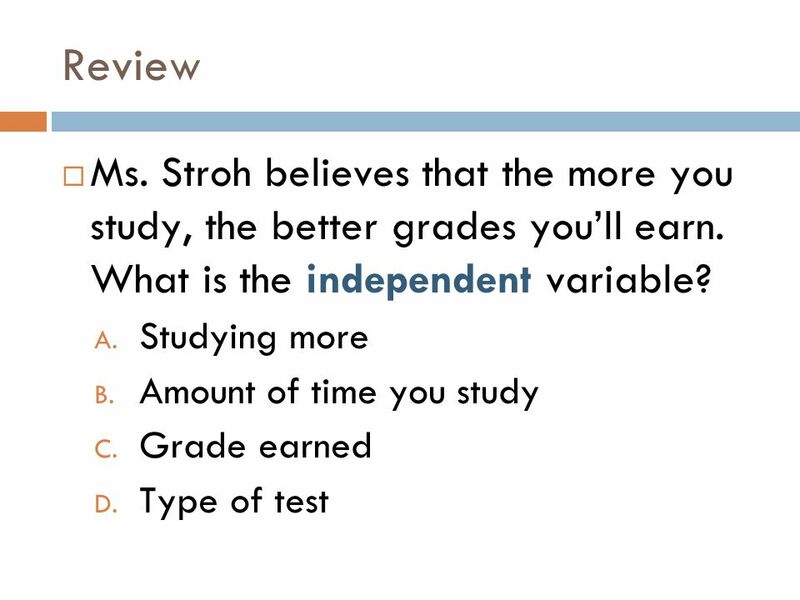 What question is this data table answering? 2. What is one conclusion we can make from looking at this data table? 1 Catalyst – January (4 2 + 3), 2009 1. What question is this data table answering? 2. What is one conclusion we can make from looking at this data table? 3. Write a hypothesis to answer this question: Why is hydro (water) power used so greatly? Write in complete sentences! Dont talk during the Catalyst! 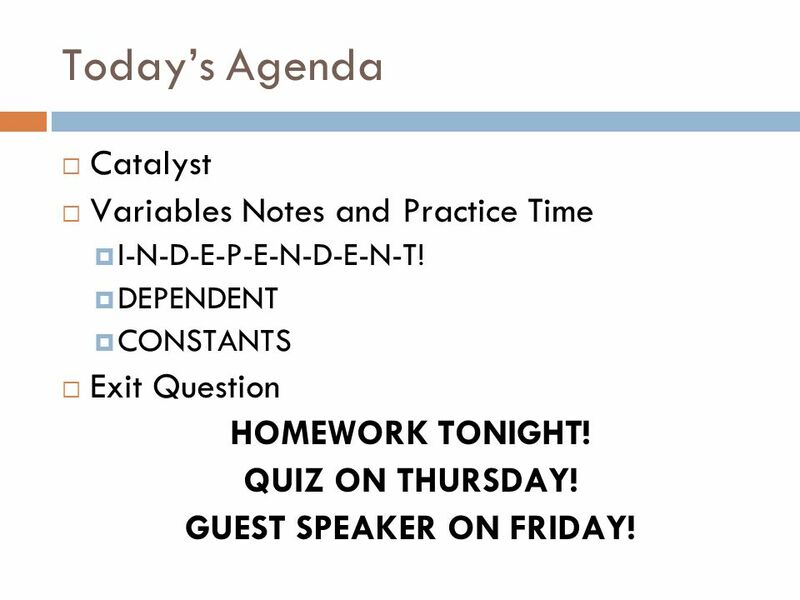 2 Todays Agenda Catalyst Variables Notes and Practice Time I-N-D-E-P-E-N-D-E-N-T! 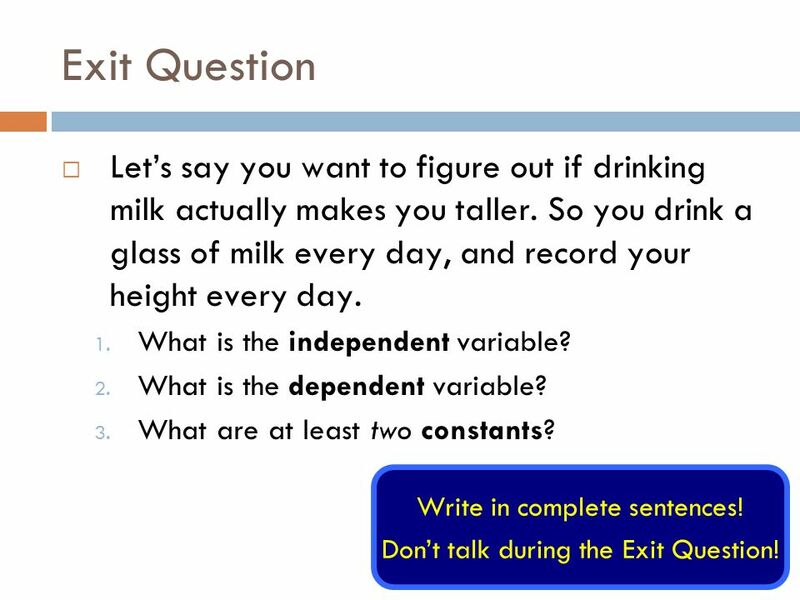 DEPENDENT CONSTANTS Exit Question HOMEWORK TONIGHT! QUIZ ON THURSDAY! GUEST SPEAKER ON FRIDAY! 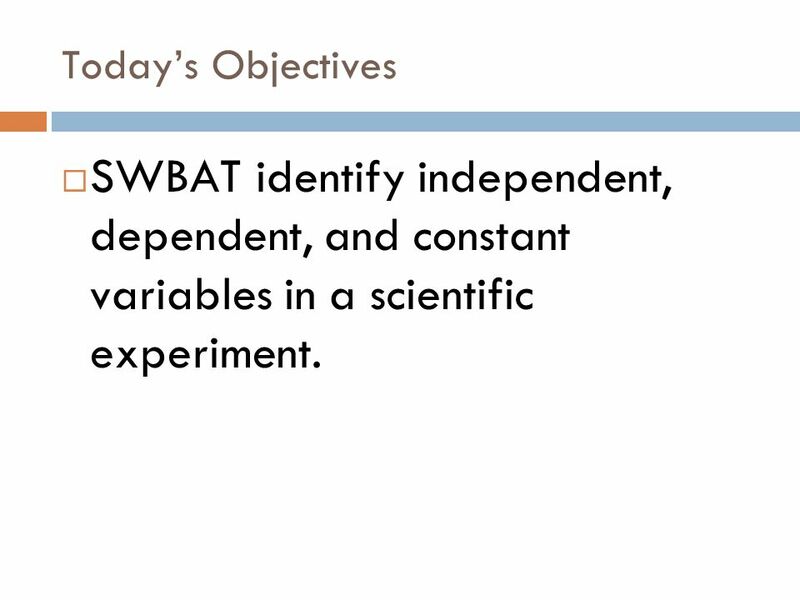 3 Todays Objectives SWBAT identify independent, dependent, and constant variables in a scientific experiment. 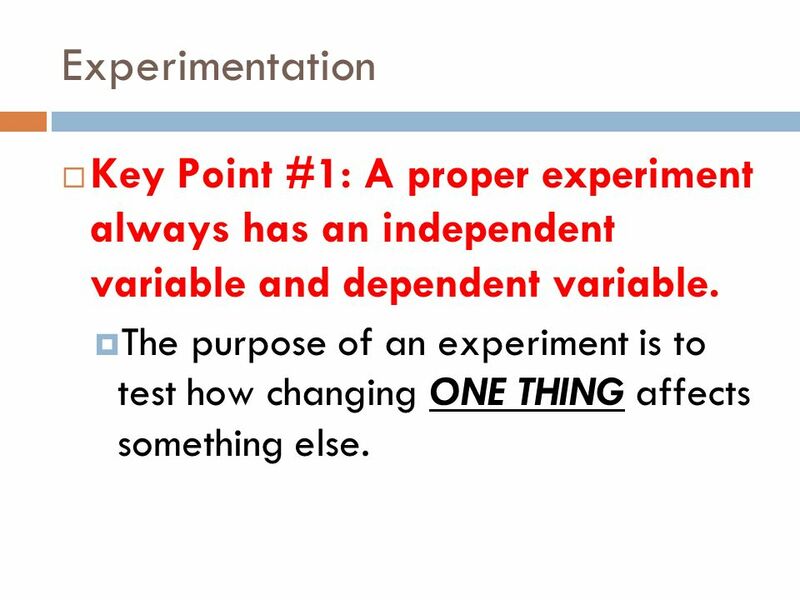 4 Experimentation Key Point #1: A proper experiment always has an independent variable and dependent variable. 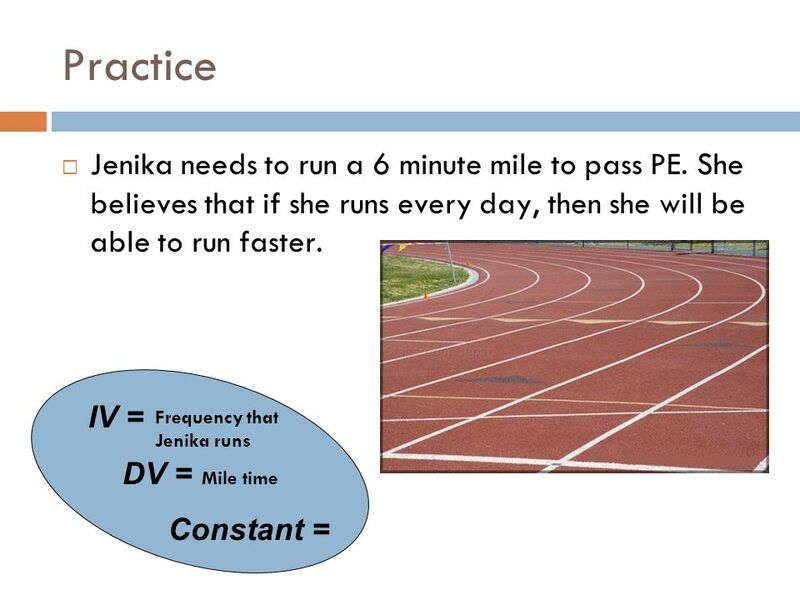 The purpose of an experiment is to test how changing ONE THING affects something else. 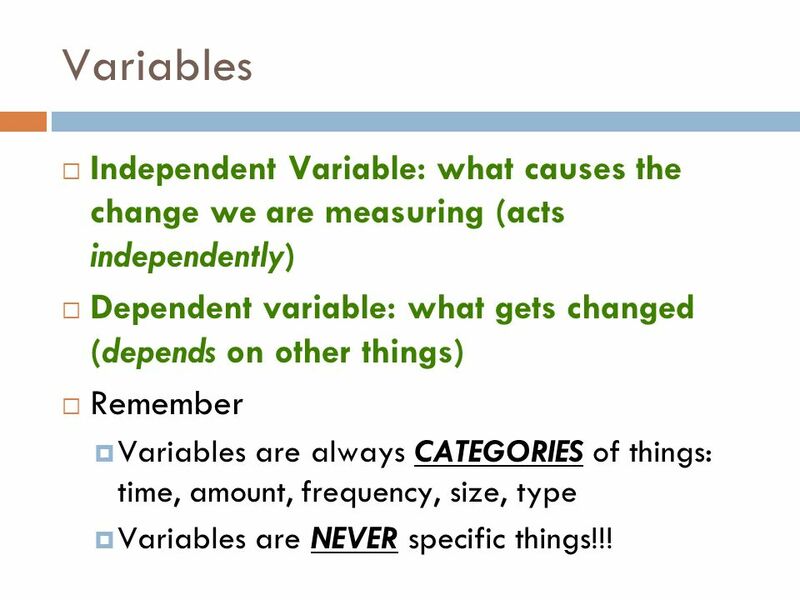 5 Variables Independent Variable: what causes the change we are measuring (acts independently) Dependent variable: what gets changed (depends on other things) Remember Variables are always CATEGORIES of things: time, amount, frequency, size, type Variables are NEVER specific things!!! 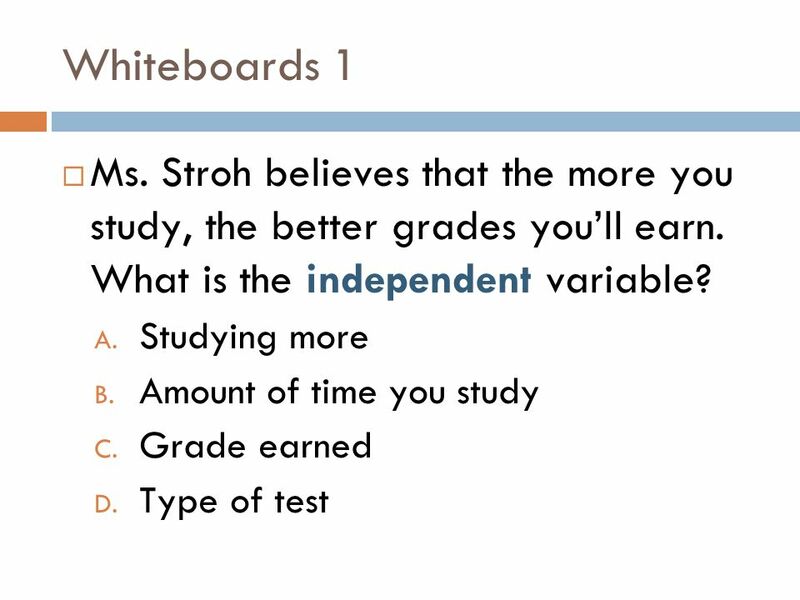 10 Whiteboard Practice When Ms. Stroh says GO! 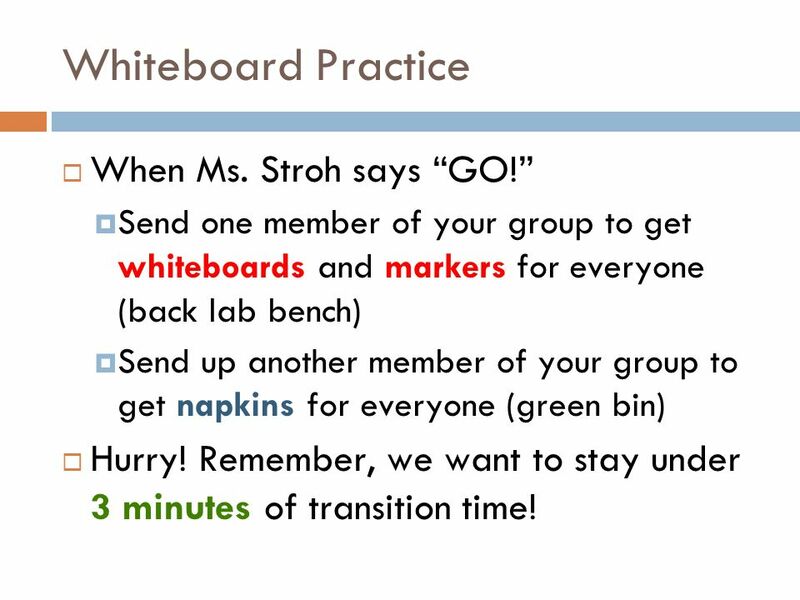 Send one member of your group to get whiteboards and markers for everyone (back lab bench) Send up another member of your group to get napkins for everyone (green bin) Hurry! Remember, we want to stay under 3 minutes of transition time! 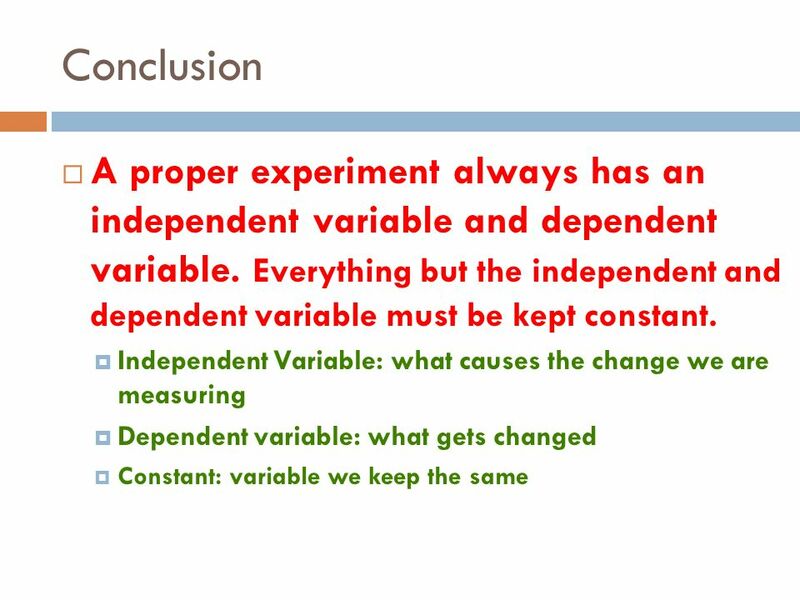 21 Constants Key Point #2: Everything but the independent and dependent variable must be kept constant. 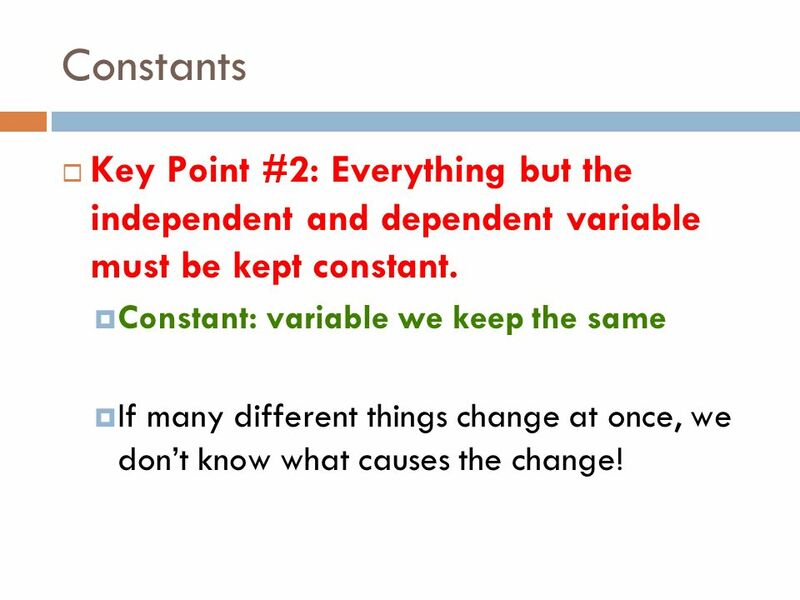 Constant: variable we keep the same If many different things change at once, we dont know what causes the change! 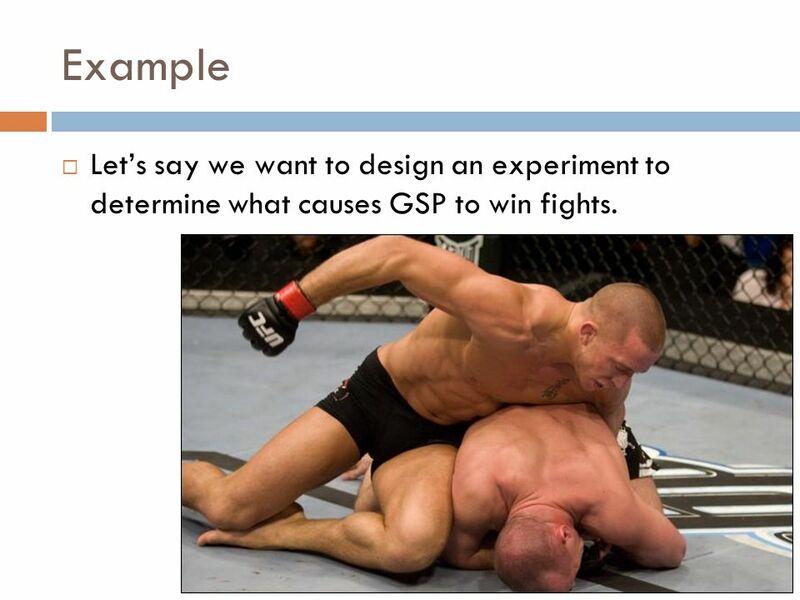 22 Example Lets say we want to design an experiment to determine what causes GSP to win fights. 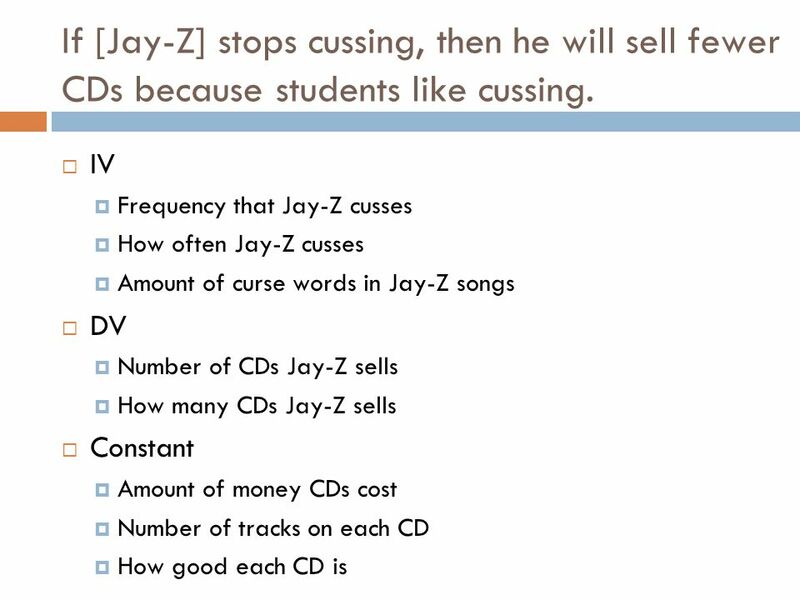 24 Answer in notes Jay-Z hypothesizes that if he stops cussing, then he will sell fewer CDs because students like cussing. What is the IV? 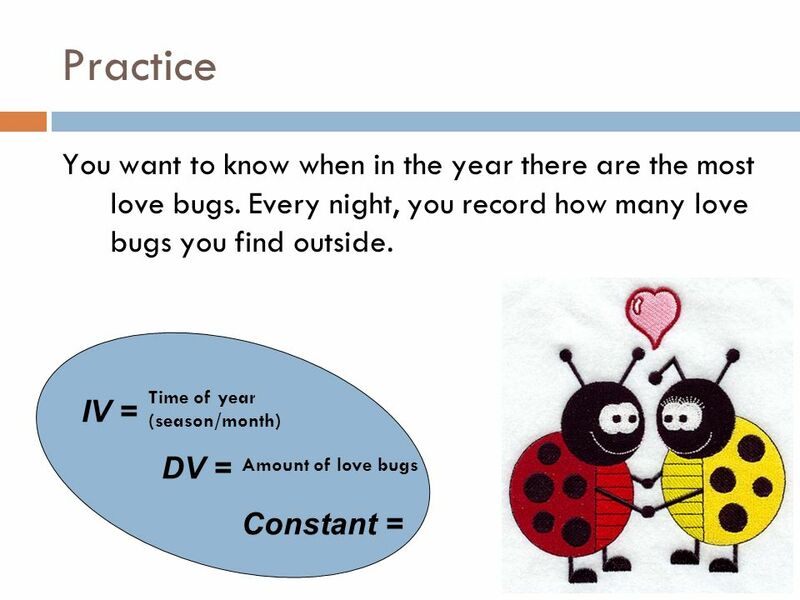 What is the DV? 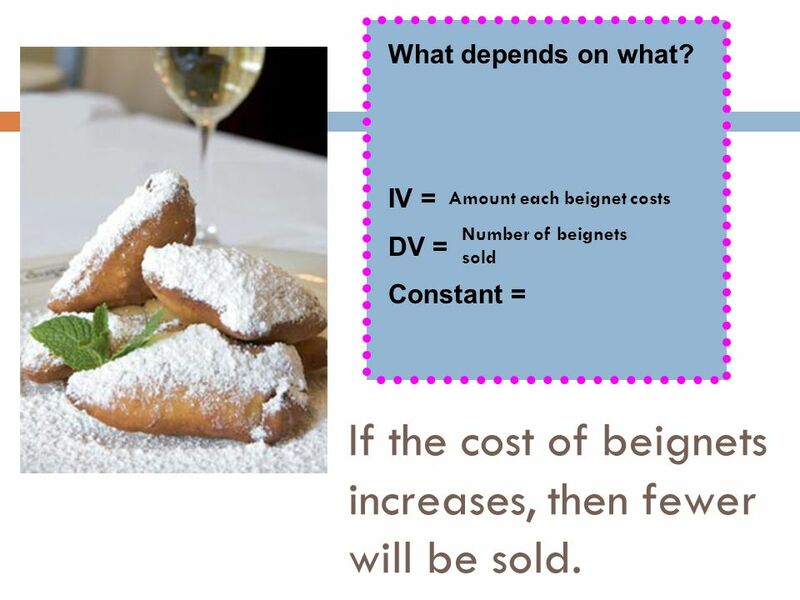 What are the constants? 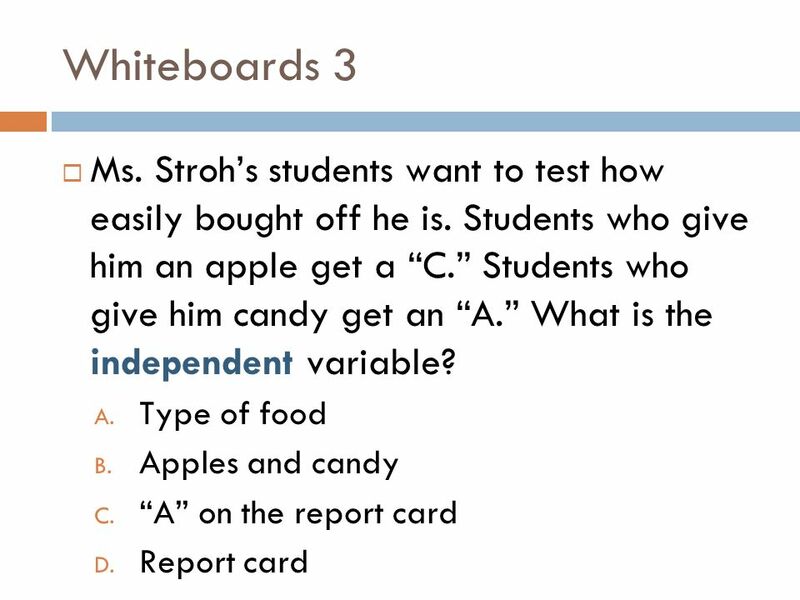 Remember, variables are CATEGORIES. 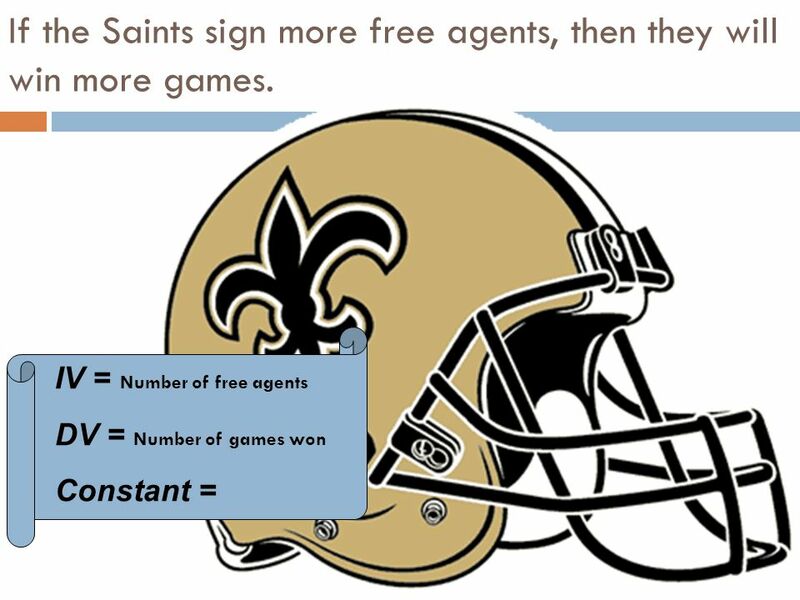 31 IV = Number of free agents DV = Number of games won Constant = If the Saints sign more free agents, then they will win more games. 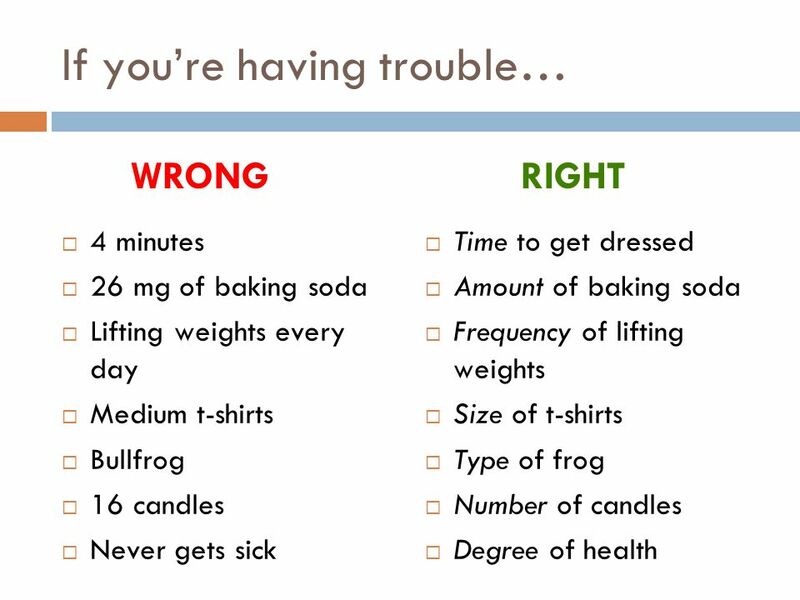 33 Exit Question Lets say you want to figure out if drinking milk actually makes you taller. So you drink a glass of milk every day, and record your height every day. 1. What is the independent variable? 2. 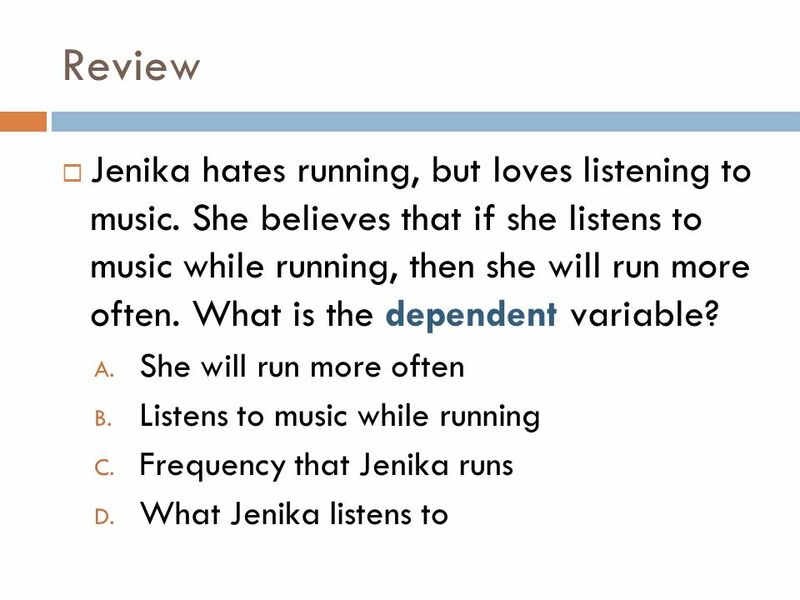 What is the dependent variable? 3. What are at least two constants? Write in complete sentences! Dont talk during the Exit Question! 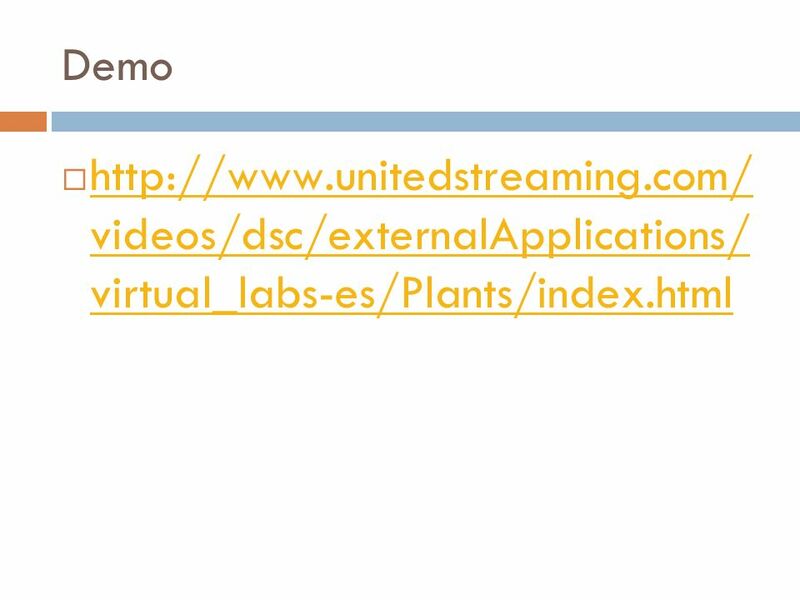 Download ppt "Catalyst – January (4 2 + 3), 2009 1. 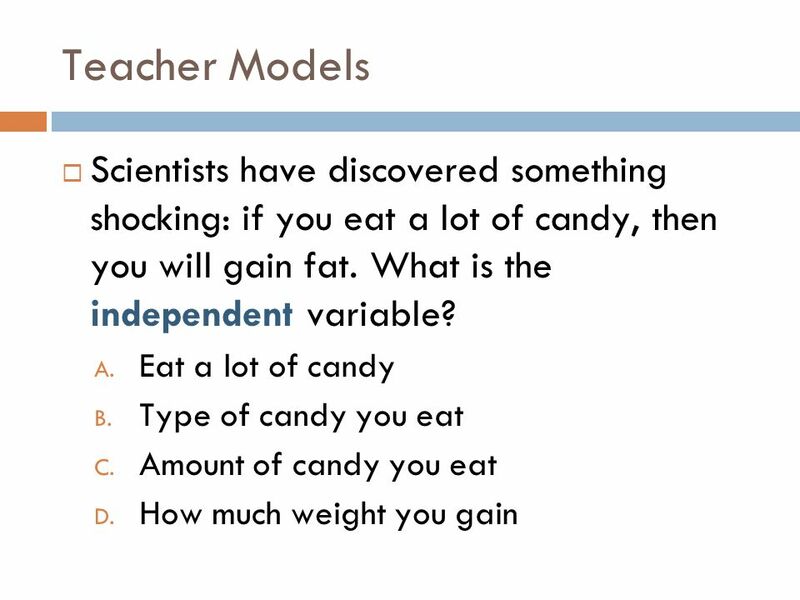 What question is this data table answering? 2. 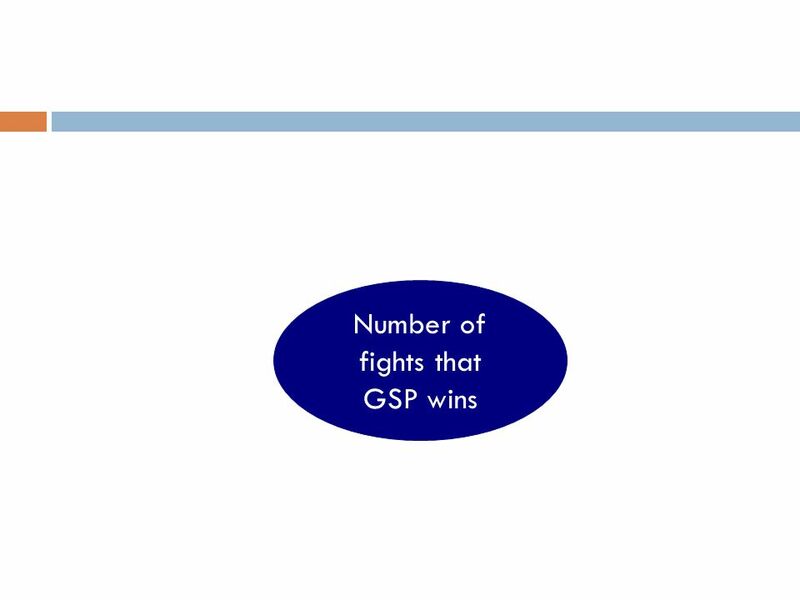 What is one conclusion we can make from looking at this data table?" 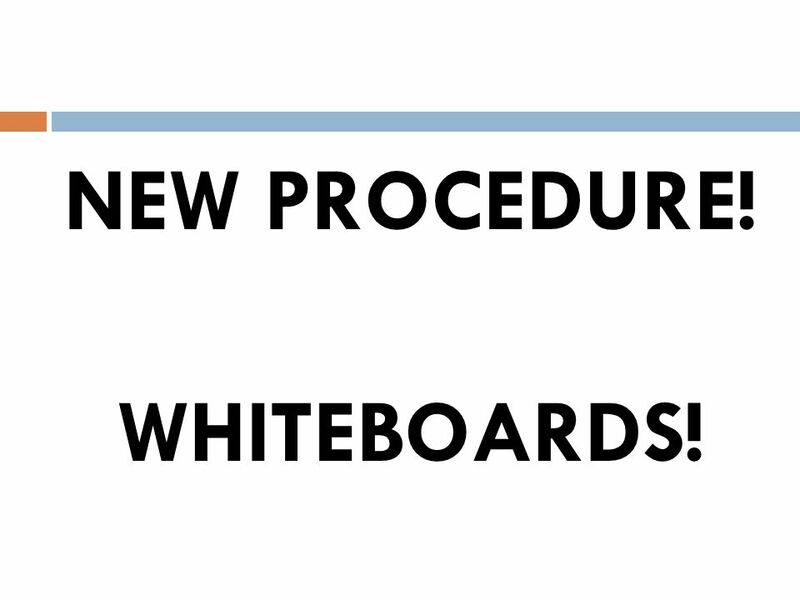 Catalyst – August 5 2, 2009 What are the FOUR characteristics of a good procedure? UNIT 1 QUIZ RESCHEDULED TO THURSDAY!!!! Catalyst – January 7+6, 2011 Daneel is a college chemistry student. He was told by his professor to research the fuel efficiency (for example: miles per. 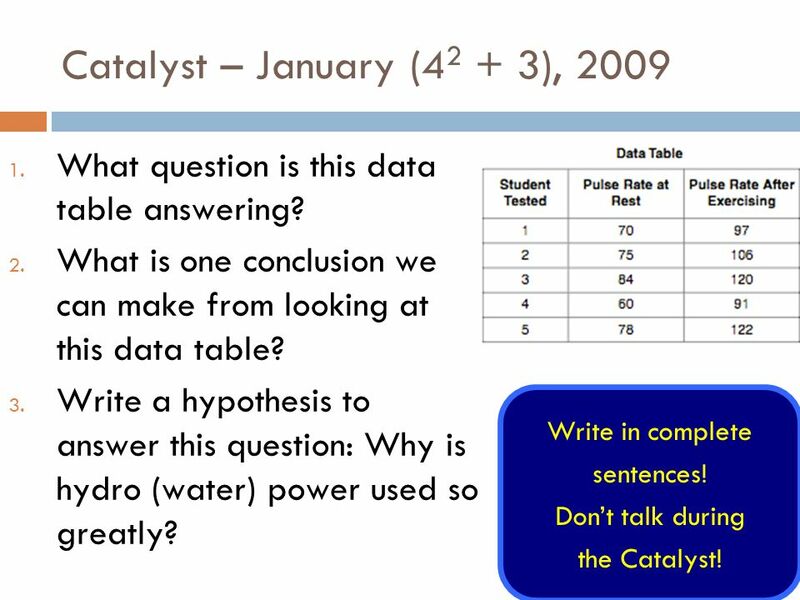 Catalyst – August 2+21, What question is this data table answering? 2. What is one conclusion we can make from looking at this data table? 3. 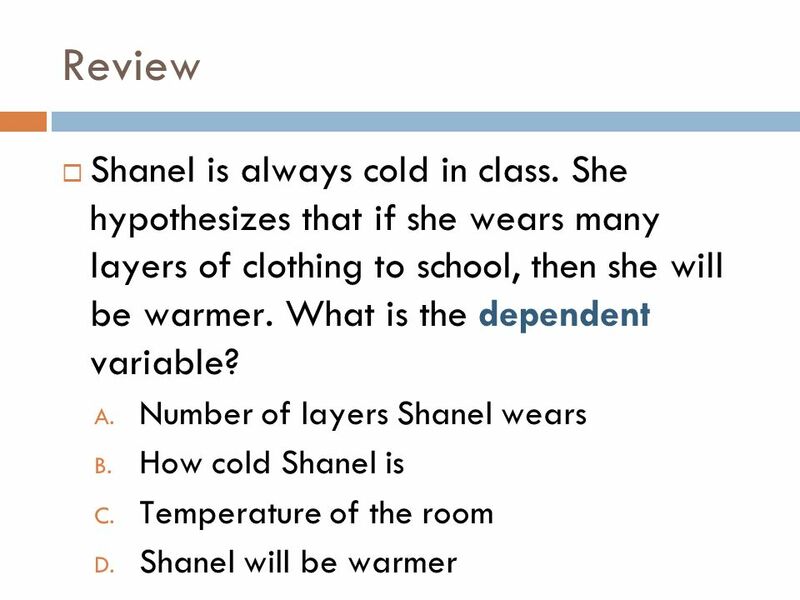 I-N-D-E-P-E-N-D-E-N-T variables, dependent variables, and constants  Catalyst:  What is a hypertonic solution?  Let’s say you put a cell in a hypotonic. Scientific Method A series of steps designed to solve a problem or learn more about the world around you. Catalyst (You can use your notes!) 1. What does a question always end with? 2. 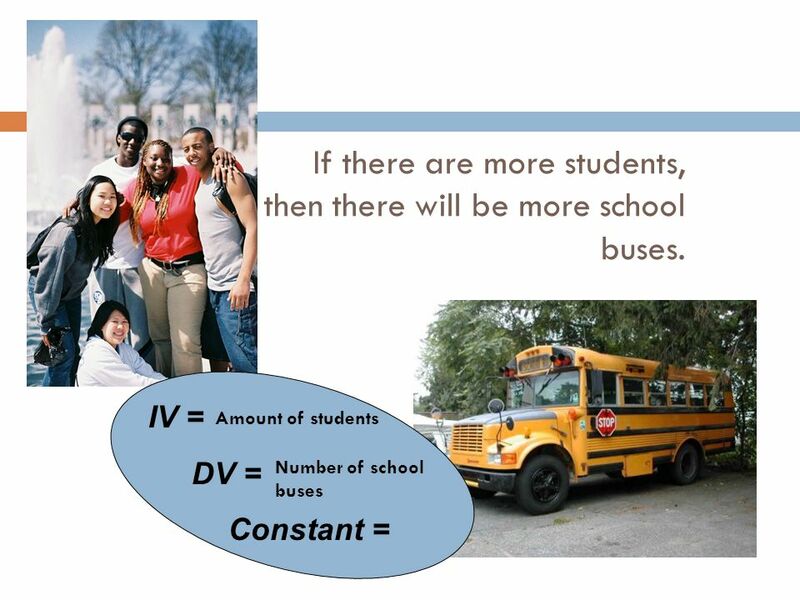 What is the achievement gap? 3. What are two examples of the achievement. How to write a good hypothesis. Step 2 in the Scientific Method. Catalyst Remember, we always enter silently and immediately begin on our catalyst Catalysts are graded for participation every Friday Your catalyst today. Catalyst – September 8, 2009 Please hold on to your projects until Ms. Stroh tells you to turn them in. 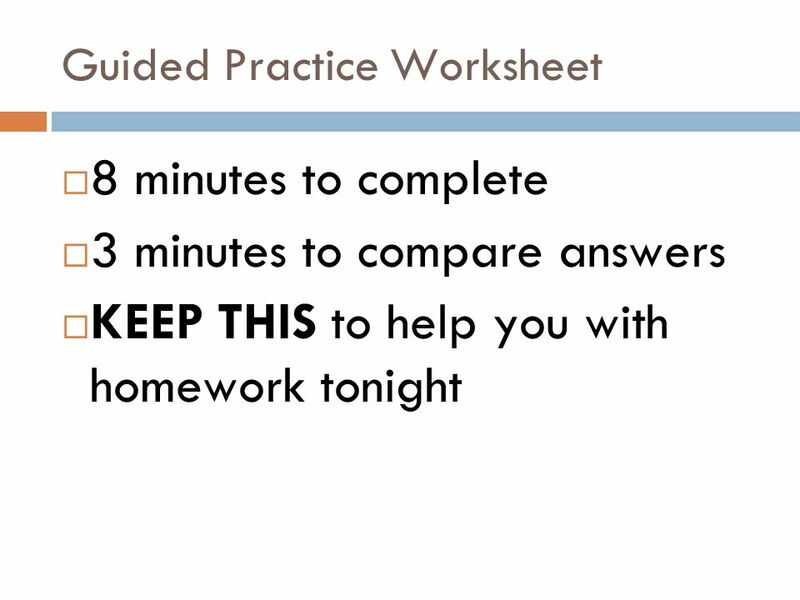 Sit your Review Sheet on your desk if you have. 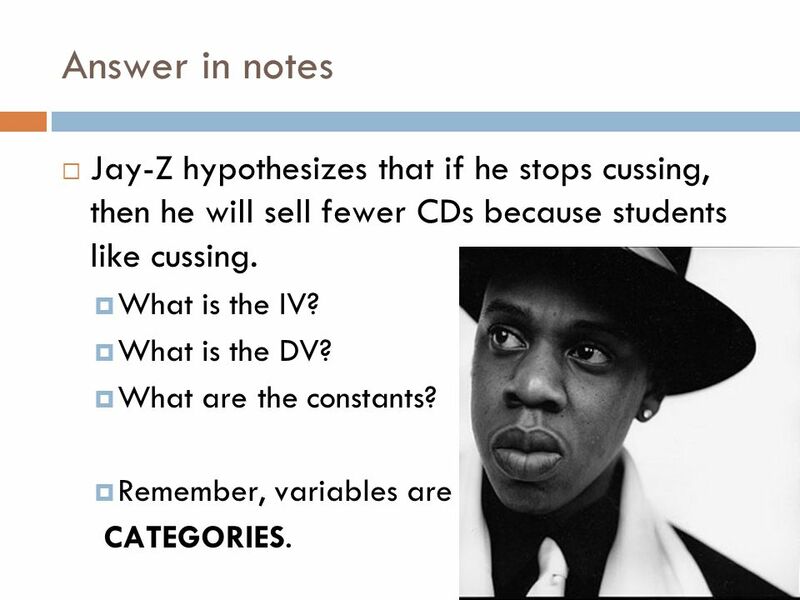 Variables and Hypothesis. 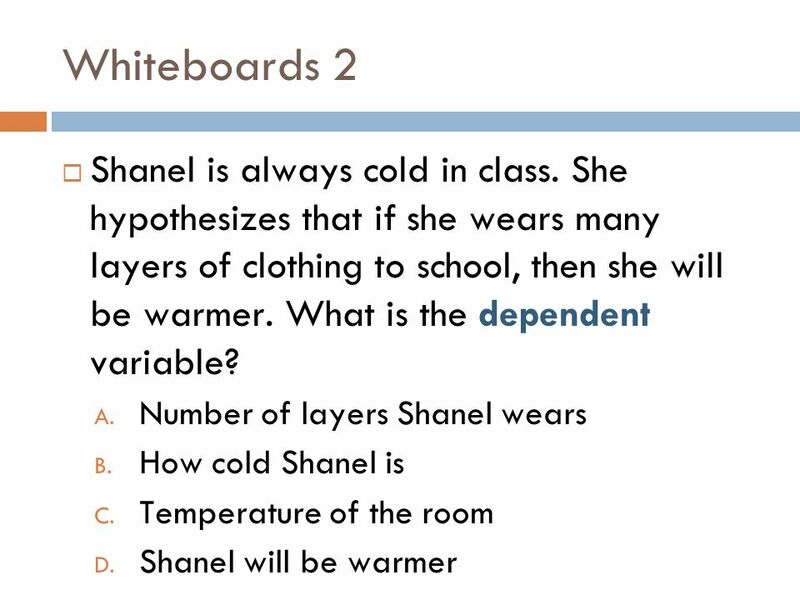 Variable What is it? 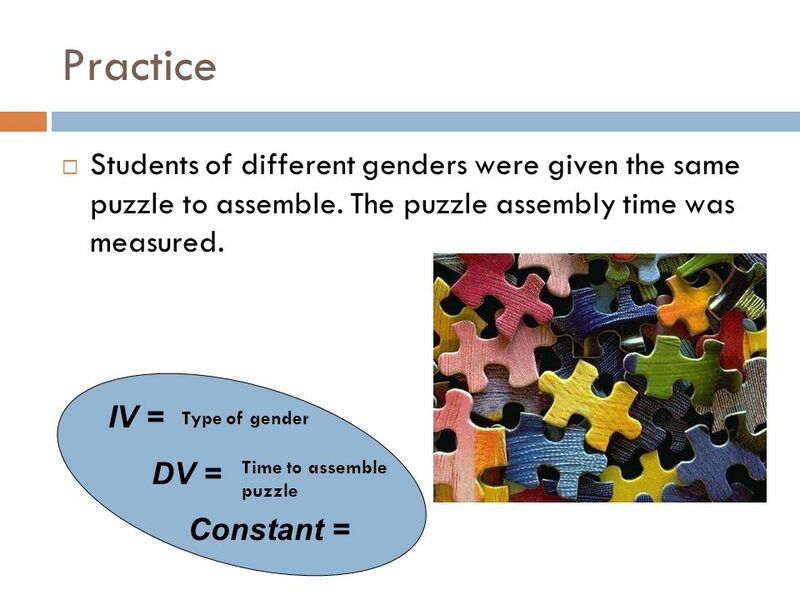 change being tested – Variable: something that can change in an experiment. Most commonly known as the.